EXTREMELY WEAK. FAULT OF POT[ATO] SEED. MUCH TROUBLE JUST TO STAND UP. STARVING. GREAT JEOPARDY. Assuming that McCandless must have had a good reason to believe the seeds were to blame for his failing health, when Treadwell and Clausen proclaimed that H. alpinum seeds are completely benign, I proposed a new hypothesis to explain his demise, which I included in an updated edition of Into the Wild printed in 2007: It wasn’t the seeds that killed McCandless, but rather a mold growing on the seeds, which produced a toxic alkaloid called swainsonine. In August 2013, I happened upon a paper titled “The Silent Fire: ODAP and the Death of Christopher McCandless,” by Ronald Hamilton, which appeared to solve the conundrum. Hamilton’s essay, posted online, presented hitherto unknown evidence that the Eskimo potato plant was in fact highly toxic, contrary to the assurances of Treadwell, Clausen, and apparently every other expert who had ever weighed in on the subject. According to Hamilton, the toxic agent in H. alpinum was not an alkaloid, as I had speculated, but rather an amino acid, and it was the ultimate cause of McCandless’s death. Hamilton is neither a botanist nor a chemist; he’s a writer who until recently worked as a bookbinder at the Indiana University of Pennsylvania library. 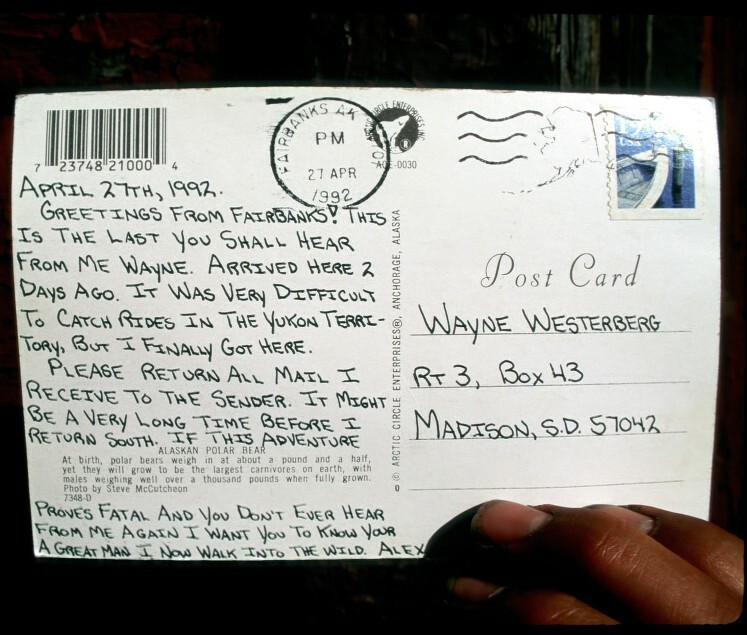 As Hamilton explains it, he became acquainted with the McCandless story in 2002, when he happened upon a copy of Into the Wild, flipped through its pages, and suddenly thought to himself, “I know why this guy died.” His hunch derived from his knowledge of Vapniarca, a little-known World War II concentration camp in what was then German-occupied Ukraine. “I first learned about Vapniarca through a book whose title I’ve long forgotten,” Hamilton told me. “Only the barest account of Vapniarca appeared in one of its chapters…. But after reading Into the Wild I was able to track down a manuscript about Vapniarca, which has been published online.” Later, in Romania, he located the son of a man who served as an administrative official of the camp, and who sent Hamilton a trove of documents. a Jewish doctor and inmate at the camp, Dr. Arthur Kessler, understood what this implied, particularly when within months, hundreds of the young male inmates of the camp began limping, and had begun to use sticks as crutches to propel themselves about. In some cases inmates had been rapidly reduced to crawling on their backsides to make their ways through the compound…. [O]nce the inmates had ingested enough of the culprit plant, it was as if a silent fire had been lit within their bodies. There was no turning back from this fire — once kindled, it would burn until the person who had eaten the grasspea would ultimately be crippled…. The more they’d eaten, the worse the consequences — but in any case, once the effects had begun, there was simply no way to reverse them…. Dr. Arthur Kessler, who… initially recognized the sinister experiment that had been undertaken at Vapniarca, was one of those who escaped death during those terrible times. He retired to Israel once the war had ended and there established a clinic to care for, study, and attempt to treat the numerous victims of lathyrism from Vapniarca, many of whom had also relocated in Israel. affects different people, different sexes, and even different age groups in different ways. It even affects people within those age groups differently…. The one constant about ODAP poisoning however, very simply put, is this: those who will be hit the hardest are always young men between the ages of 15 and 25 and who are essentially starving or ingesting very limited calories, who have been engaged in heavy physical activity, and who suffer trace-element shortages from meager, unvaried diets. It isn’t clear why, but the most vulnerable neurons to this catastrophic breakdown are the ones that regulate leg movement.… And when sufficient neurons die, paralysis sets in.… [The condition] never gets better; it always gets worse. The signals get weaker and weaker until they simply cease altogether. The victim experiences “much trouble just to stand up.” Many become rapidly too weak to walk. The only thing left for them to do at that point is to crawl. After Hamilton read Into the Wild and became convinced that ODAP was responsible for McCandless’s sad end, he approached Dr. Jonathan Southard, the assistant chair of the biochemistry department at Indiana University of Pennsylvania, and persuaded Southard to have one of his students, Wendy Gruber, test the seeds of both H. alpinum and H. mackenzii for ODAP. Because the two species are very similar and hard to distinguish from one another, there had been speculation that McCandless confused the plants, and actually ingested H. mackenzii rather than H. alpinum. Upon completion of her tests in 2004, Gruber determined that ODAP appeared to be present in both species of Hedysarum, but her results were less than conclusive. “To be able say that ODAP is definitely present in the seeds,” she reported, “we would need to use another dimension of analysis, probably by HPLC-MS” — high-pressure liquid chromatography. But Gruber possessed neither the expertise nor the resources to analyze the seeds with HPLC, so Hamilton’s hypothesis remained unproven. Hoping to learn whether Hamilton should be believed, in August 2013 I sent 150 grams of freshly collected Eskimo potato seeds to Avomeen Analytical Services in Ann Arbor, Michigan, for HPLC analysis, which determined that the seeds contained .394 percent ODAP by weight, a concentration well within the levels known to cause lathyrism in humans. On September 12, 2013, I reported Avomeen’s results in “How Chris McCandless Died,” an article published on The New Yorker website. Krakauer should take the advice of Tom Clausen, the retired organic chemist from UAF who has spent much of his career studying plants in Alaska and their properties. Clausen said that absent peer-reviewed scientiﬁc research he would not make any conclusions about what amounts to a highly technical and complicated scientiﬁc question. The difference between a popular account for a general audience and a peer-reviewed journal is that an editor or two may check the former, while the latter will be subject to critical examination aimed at uncovering sloppy work. Clausen said he has nothing to refute the conclusion, reached by both [Ron Hamilton] and Krakauer, that ODAP was present. Clausen, I realized, was right: I couldn’t be absolutely certain the seeds were toxic until I did additional, more sophisticated analysis, and then published the results in a reputable peer-reviewed journal. So I embarked on another round of testing. I began by asking Avomeen to analyze the seeds with liquid chromatography-mass spectrometry (LC-MS). This test detected a prominent seed component with a molecular mass of 176, the molecular mass of ODAP, which appeared to corroborate the earlier HPLC results. Next, Avomeen suggested that we take the analysis to an even higher resolution by using liquid chromatography-tandem mass spectrometry (LC-MS/MS). These results confirmed that the mass of the compound in question was 176, but the fragmentation-ion pattern, or “fingerprint,” for the compound didn’t match the fragmentation-ion fingerprint of a sample of pure ODAP that was also analyzed. 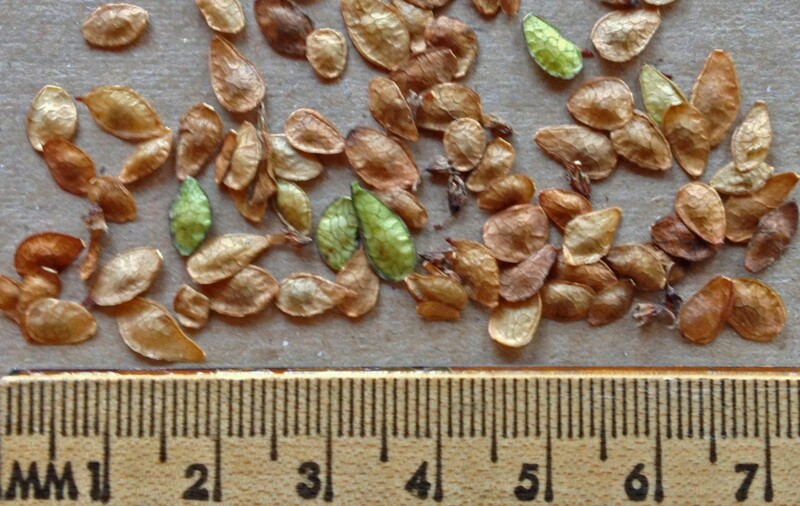 The results were unequivocal: ODAP was not present in H. alpinum seeds. LC-MS/MS conclusively disproved Hamilton’s hypothesis. The LC-MS/MS analysis nevertheless suggested the possibility that a significant concentration of a compound structurally similar to ODAP might be present in the seeds. So I combed the scientific literature yet again, even more exhaustively this time, reading every paper I could find about toxic nonprotein amino acids with a molecular mass of 176. Eventually, to my surprise, I discovered an article by a scientist named B. A. Birdsong, published in the 1960 edition of the Canadian Journal of Botany, which reported that H. alpinum seeds contained a toxic amino acid called L-canavanine. And the mass of L-canavanine, it so happens, is 176.17. Compounds presumed or known to be present in Hedysarum alpinum. The alkaloid swainsonine and the amino acid beta-Noxalyl-L-alpha-beta diaminoproprionic acid (ODAP) had been suggested as possible toxic constituents but their presence has not been demonstrated. L-Canavanine, shown to be present in seeds, is an antimetabolite that can replace L-arginine during protein synthesis. My earlier searches had missed this article because I had been looking for a toxic alkaloid instead of a toxic amino acid. Clausen and Treadwell had overlooked the article, as well. Birdsong and his coauthors had determined the presence of L-canavanine in the seeds using a technique called paper chromatography-trisodium pentacyanoammonioferrate colorimetric analysis, or PCAF. Given all the controversy, and because methods for analysis of plant constituents have advanced significantly during the fifty-four years since Birdsong’s investigation, I asked Avomeen to evaluate the presence of L-canavanine in the seeds using LC-MS/MS, the same technique that had disproved the presence of ODAP. When the Avomeen scientists completed their work, they determined that H. alpinum seeds do indeed contain a significant concentration of L-canavanine — 1.2 percent by weight. Liquid chromatography–tandem mass spectrometry (LC-MS/MS) analyses. (A) MS spectrum of L-canavanine reference standard [M.H]. 177. (B) MS/MS spectrum of L-canavanine reference standard [M.H]. 177. (C) MS spectrum of the peak of [M.H]. 177 at retention time 2.40 minutes from water extract of Hedysarum alpinum seeds. (D) MS/MS spectrum of the peak of [M.H]. 177 at retention time 2.40 minutes from water extract of H alpinum seeds. (E) MS spectrum of the peak of [M.H]. 177 at retention time 2.42 minutes from 50/50 mixture of L-canavanine and water extract of H alpinum seeds. (F) MS/MS spectrum of the peak of [M.H]. 177 at retention time 2.42 minutes from 50/50 mixture of L-canavanine and water extract of H alpinum seeds. Our results confirmed the presence of L-canavanine (an antimetabolite with demonstrated toxicity in mammals) as a significant component of H. alpinum seeds…. 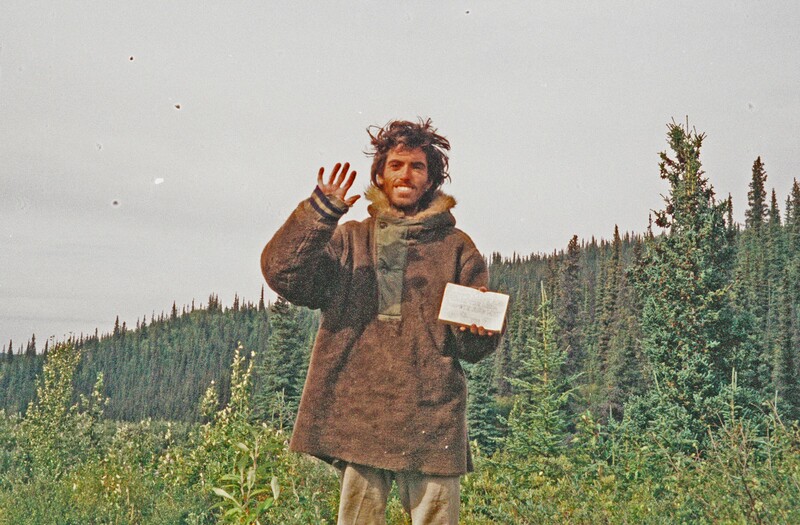 In the case of Christopher McCandless, there is evidence that H. alpinum seeds constituted a significant portion of his meager diet during a period before his death. Based on this and what is known about the toxic effects of L-canavanine, we make the logical conclusion that under these conditions, it is highly likely that the ingestion of relatively large amounts of this antimetabolite was a contributing factor to his death. The death of Chris McCandless should serve as a caveat to other foragers: Even when some parts of a plant are known to be edible, other parts of the same species may contain dangerous concentrations of toxic compounds. Additionally, there may be seasonal, as well as ecotypic, variations in the concentrations of L-canavanine between various communities of H. alpinum. Further studies are needed to determine the range of L-canavanine concentrations among different populations of the plant. Given the known toxic properties of L-canavanine and its established presence in H. alpinum seeds, it seems prudent to use caution before ingesting these seeds, especially as a significant part of the diet. It might be said that Christopher McCandless did indeed starve to death in the Alaskan wild, but this only because he’d been poisoned, and the poison had rendered him too weak to move about, to hunt or forage, and, toward the end, “extremely weak,” “too weak to walk out,” and, having “much trouble just to stand up.” He wasn’t truly starving in the most technical sense of that condition…. [But] it wasn’t arrogance that had killed him, it was ignorance…, which must be forgiven, for the facts underlying his death were to remain unrecognized to all, scientists and lay people alike, literally for decades. Confirmation that toxic seeds were at least partly responsible for McCandless’s death is unlikely to persuade many Alaskans to regard him in a more sympathetic light, but it may prevent other backcountry foragers from accidentally poisoning themselves. 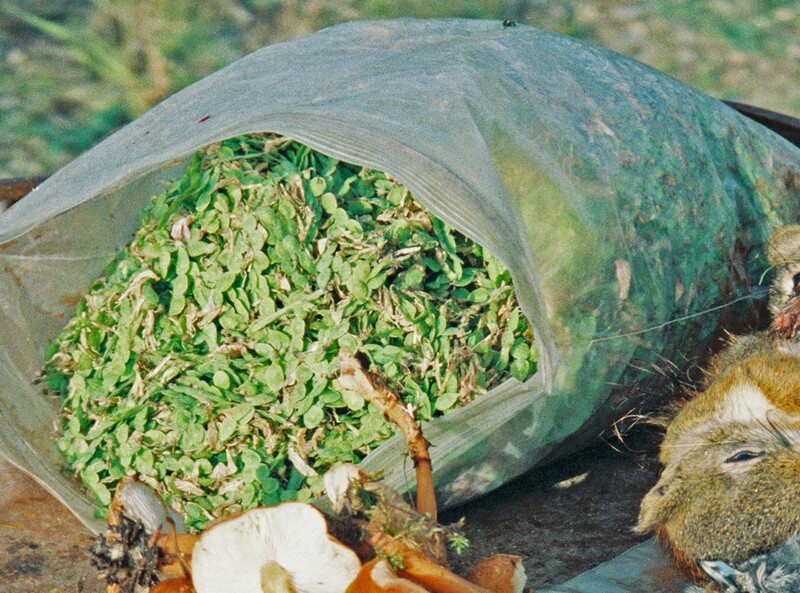 Had McCandless’s guidebook to edible plants warned that H. alpinum seeds contain a “highly toxic secondary plant constituent,” as L-canavanine is described in the scientific literature, he probably would have walked out of the wild in late August with no more difficulty than when he walked into it in April, and would still be alive today. 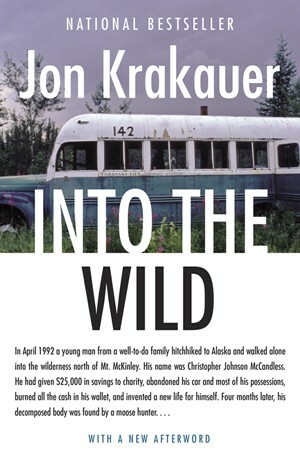 I tell the complete story of the short, fascinating life of Chris McCandless in Into the Wild, which was updated with a new afterword in 2015. An earlier version of this post was originally published on The New Yorker website in 2013, where it “ended up as our most-read culture piece of the year,” according to Nicholas Thompson, editor of newyorker.com.